Google adsense advertisement network is still best advertisement networks for blog publishers, yes this is true because you can make millions from Google Adsense alone from your blog. Yes that's true as a blogger primary source of earning is advertisements but all networks are not going to pay you, like Google Adsesnse pays. Specially those blog publishers are part time, I mean those bloggers are not having ton of visitors. Other than Google Adsense, all other networks pay per click rate is quiet less in India, specially for Indian visitors Google Adsense Network is best. Yes this is really true they paid about 40INR per click no of other network pay this much for Indian visitors. Even you can make more than this much per click. I was reading a blog post that he got about 23 dollars for a single click from Google Adsense and this is really good for bloggers. Basically Google Adsense do not give approval to every bloggers, because they believe in advertisers ROI(Return of Investment) that's why they give approval to only quality content bloggers. 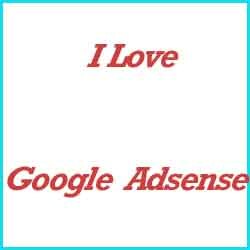 So write quality articles that's why you can get Google Adsense Approval quiet easily. Yes this is amazing, I think no one, yes no one can beat Google Adsense in CTR(Click Through Rate). If you are showing advertisements on your blog and you are getting more value for pay per click and more clicks per 100 visitors then this is great for you. Then what else you want? According to me Google Adsense is the best adsense networks for bloggers, what do you think? "There is no one, who can compete with Google Adsense"